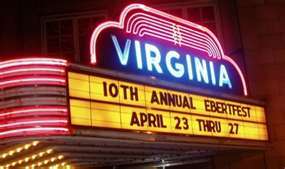 At the Movies – Ebertfest 2012 | brainsnorts inc. I don’t have many heroes or people I look up to, and that’s probably not a good thing. But I can think of two: Bruce Springsteen and Roger Ebert. This one’s about Ebert. Some of you might be old enough to remember him and Gene Siskel doing the old “At the Movies” shows on a PBS station near you before moving to syndicated channels. This was back in the days before cable tv or maybe shortly after, and they were as entertaining as any duo on television. Sometimes you didn’t really care about the movies they reviewed, you just liked to watch the two of them fight about it. Their tastes seemed very different. 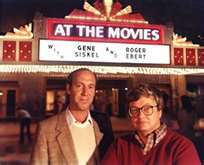 Siskel had more of an everyman approach to movies, while Ebert had a slightly higher level of sophistication. I don’t think anyone could say that they agreed with either of them even 95% of the time, and that was part of the appeal. You just never knew. About 30 years later, and after Siskel’s untimely death, I was still reading Ebert’s movie review page on the Chicago Sun-Times website and noticed that he had started blogging. This was mainly due to the fact that he had several surgeries due to throat cancer and had sadly lost the ability to speak. The result was about the single greatest blog in the world. There are discussions upon discussions ranging from history, politics, religion, entertainment, and everything else. I’d easily say the two most “talked” about (based on the hundreds of comments) on his blog are evolution v. creationism and Sarah Palin. No doubt. One day, about two years ago, after being a regular reader of his essays and posts, I saw an entry called “The Blogs of My Blog.” And in that entry he mentioned five blogs that he enjoys reading. Much to my surprise, mine was one of them. Keep in mind that this was about two and a half years ago, and I hadn’t gotten my first “follower” on wordpress until this past December. In his post he explained that those people who post comments on his blog can leave their blog address, and he occasionally browses them. He happened to read something of mine, and it was enough to keep him there. This is a Pulitzer Prize-winning journalist who can read anything in the world he wants, and my silly blog was on the list. The post was about Michael Jackson, and you can read it if you want to follow the link. Some of you are too young to remember the Pepsi commercial in which his hair caught fire. Allegedly. That’s what I had written about. But that’s not what I’m writing about now. This week is the 14th annual Ebertfest – a film festival of titles that he selects for various reasons all his own. You can see a list of the films here. People from the film industry will be there talking about their films and film making in general. Previous years had Matt Dillon, Tilda Swinton, and others too numerous to mention. This year will feature a film by Patton Oswalt called Big Fan, as well as Oswalt himself to talk about the film. It’s about a die hard New York Giants football fan who takes things to an obsessive level. Also featured as the finale is, without surprise, Citizen Kane. The festival is staged in a wonderful old theater called The Virginia Theater in Champaign, Illinois. I’ve never been near there, and I’ve never been near Mr. Ebert, and I’ve never been near any of the other readers and commenters with whom I’ve done literary and rhetorical battle over the past few years on his blog. We have fought about many things – especially Sarah Palin and religion and evolution. I don’t know anyone, but I know most of them just by their names. There are staunch Republicans and pleasant liberals, and it’s gotten nasty online. But this week, it’ll just be about going to the movies and about the guy who cares enough about the film industry, about life, and about people to bring a thousand or so together to make sure we all keep going to the movies. Great tribute! As you know I’ve written my share about the interchange between science and religion (especially around evolution). I recall a post Mr. Ebert did regarding people asking him to review Ben Stein’s “Expelled.” Simply wow …. and its a bookmark for me … so enjoy …. and have a great and safe trip. Wow, massive amounds of congratulations to you! That’s really a true honor. Are you going to introduce yourself to Mr. Ebert? What is the internet protocol here? Is that creepy? I’m really unsure as to the propriety here. no idea. never been to the festival. i think there’s book signings and such, but i’m really playing it by ear. going to just watch and learn. How rad would it to just host a “you” festival, where people come to a place you choose to celebrate things you like? I would have to say it would be surreal. yeah, and that’s kind of what this is like. it used to be called something like “roger ebert’s overlooked movie festival,” and it would be only films that he felt didn’t get enough attention. now it’ partly that and partly films that are well known but need a discussion to know them even better. That’s super exciting. We expect pictures and deets when you return, you know. Remember, I’m old. Almost 50. What happened to “Forever Young”? Details are in a link in the post. Schedule of films. I didn’t want to bore anyone with that info and figured you’d click on it if you wanted. But I suppose that was lazy of me. No, I was answering your question… “Deets” perhaps means Details. For once, I was trying to be brief and it backfired. Oh. Duh. That now makes sense. Thanks! Don’t know the gentleman but I like the way that you write about him. 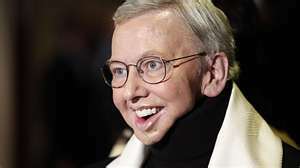 rogerebert.com not just film reviews but essays about everything and excellent blog/comments. the single most popular blog in the world. Thanks for his list I’ll check it out..
my first year attending the festival. it’ll be kind of a nerd convention in a way. have not seen it but plan to this week. Enjoy the festival, it sounds like a great time! I just read your comment on another blog. Where you stated “gimme his address it won’t happen again” It was a great comment! Being ready to defend somebody seems lacking in this world. That is why it is refreshing! it’d be a good thing of goodliness. Congrats to you! Make sure you introduce yourself to Mr. Ebert! he’s rather ill right now, so i don’t think there will be that opportunity.